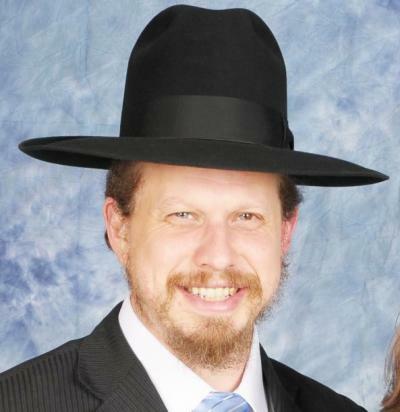 Baltimore Jewish Life | Relying on Urim VeTumim? In Shemos, Perek Chof Ches, posuk tes vov, the Torah tells us that the Choshen was made via artisan sewing. In posuk lamed the Torah says that they inserted the Urim VeTumim in the Choshen. The question arises, how could one pasken based on the Urim VeTumim? The Gemara in Bava Metziya, daf nun tes, amud bais says that the Torah is not “bashomayim,”(in heaven) therefore we don’t pasken based on a bas kol. The Gemara in Temura, daf tes zayin, amud alef says that three thousand halachos were forgotten during the period of mourning for Moshe Rabbeinu. Klal Yisroel turned to Yehoshua and said, “Why don’t you ask minhashomayim?” (as the Maharsha explains) Yehoshua responded that the Torah is not in shomayim and therefore we don’t pasken based on a bas kol. Another tirutz can be brought from learning the ins and outs of a din torah. In the same way the baalei dinin in a din torah are able to accept relatives as witnesses, they can also accept the Urim VeTumim as the deciding factor in their din torah. A proof to this can be found in Meseches Meggilah, daf yud daled, amud alef. The Gemara says that Devorah the nevia used to sit outside under a tree so as not to be oveir on yichud while she judged Klal Yisroel. How was she able to judge Klal Yisroel if a woman is not kosher to be a judge? Tosfos and Ritva answer that the baalei denim accepted Devorah as their judge. The same logic was used for the Urim VeTumim. A third tirutz can be explained as the Even Ezra expounds on the above posuk that the Urim VeTumim did not pasken. The Urim VeTumim revealed the reasoning of the psak to the judges or the neviim, but the psak was rendered via the shofet or navi. The Urim VeTumim only revealed the ta’am of the psak, but the psak still had to be given by the judge or prophet. The final tirutz is based on the Chassam Sofer who says that when there is a safek, we pasken min hashomayim. Where there is a machlokes we discount the bas kol and do not rely on the Urim VeTumim. In a case where the navi or the shofet have a safek and don’t know what to pasken, then we actually do rely on the Urim VeTumim. This will explain why in the times of Ezra and Nechemya they verified from the Urim VeTumim who had yichus and who was not a Kohen. When Moshiach comes Eliyahu Hanavi will reveal who is a true Kohen and a true Yisroel because if we are in doubt then we do rely on the Urim VeTumim. May we be zocheh to have the Urim VeTumim and have clarity in our learning and psak.